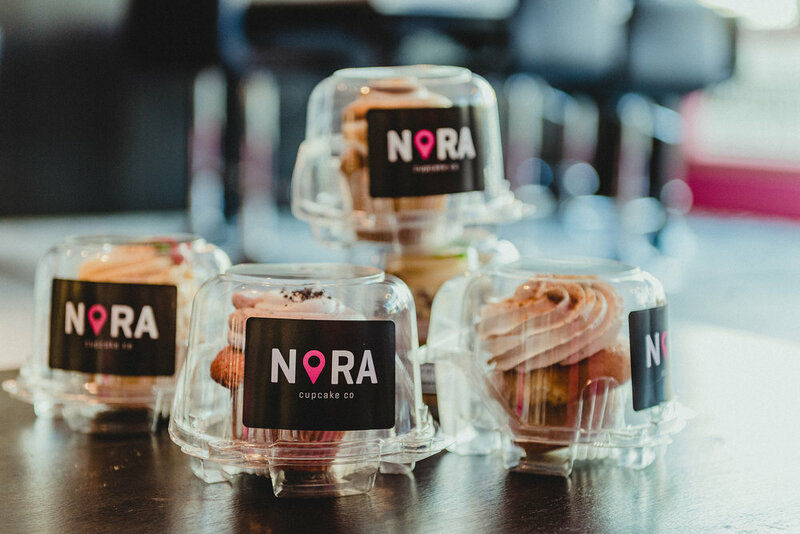 After opening what began as a small bakery, the NoRA Cupcake Company has grown tenfold since its launch in 2012. 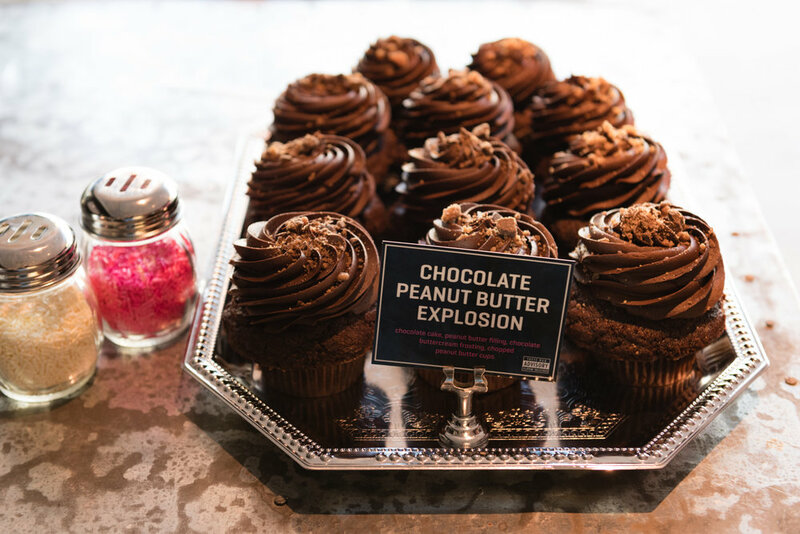 But our client, Carrie, quickly found that with such rapid success had come the challenge of maintaining the irresistibly badass, brand-wide attitude that got her business off the ground in the first place. 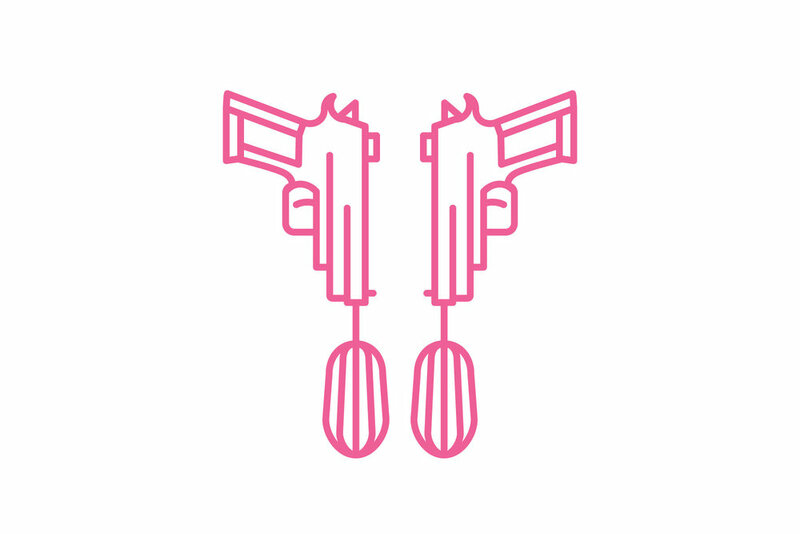 In an effort to revive this part of both herself and her company, Carrie had initially come to us for a website revamp. 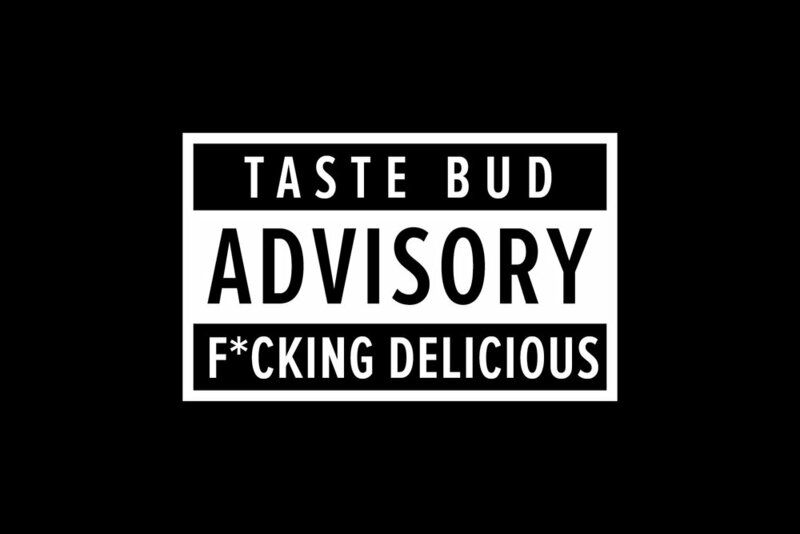 What we recommended instead was a full rebrand—a new logo, sub-branding, supporting elements, and new swag to get her feeling like her old self again. 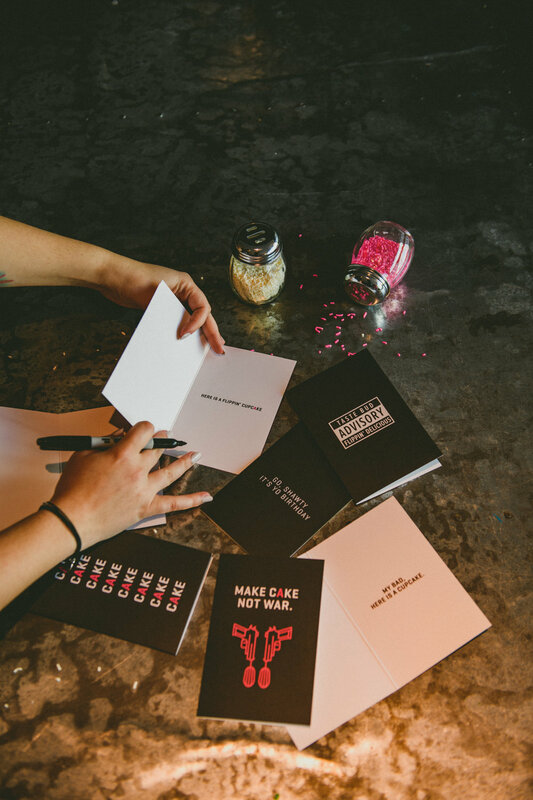 With Carrie’s blessing, we began reimagining her brand mark. 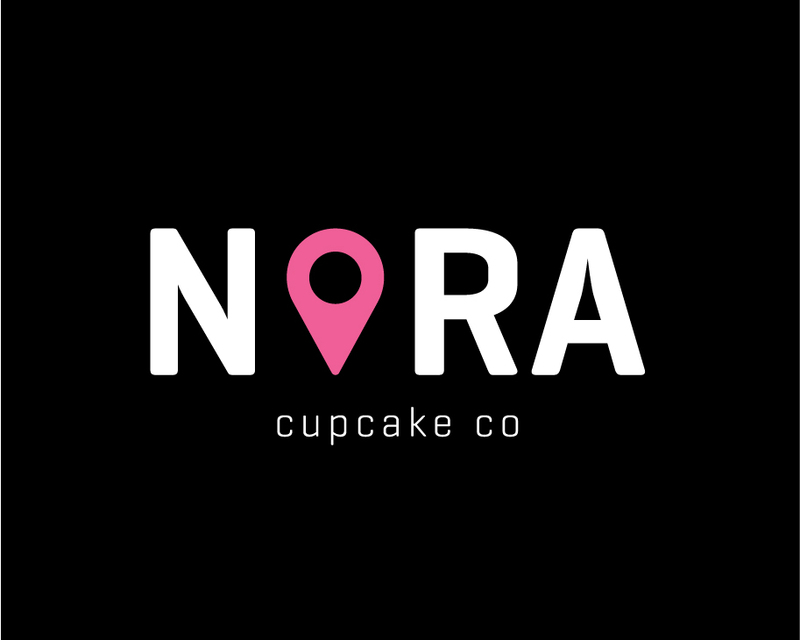 Contrary to what many might assume, NoRA Cupcake is not in fact named after a person, but instead stands for “North of Rappallo Ave,” one of Middletown, Connecticut’s city streets. 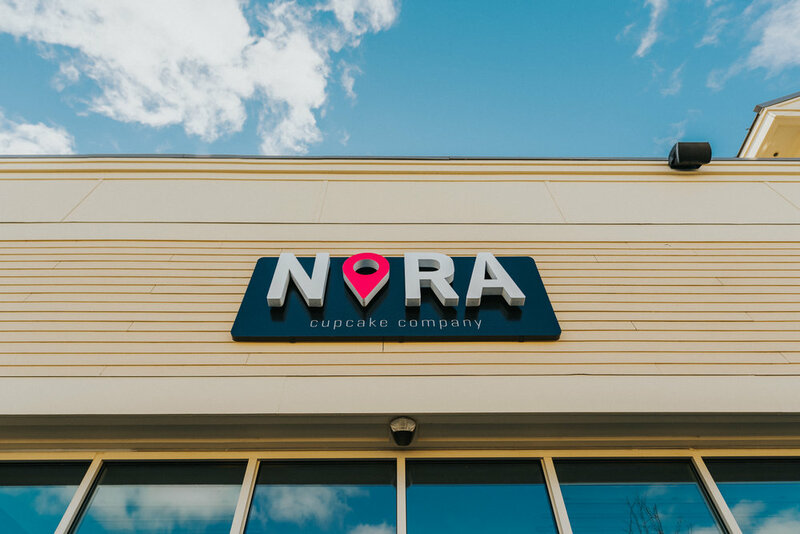 Using this acronym as a starting point, we chose to replace the NoRA “O” with a location marker icon to give the self-titled brand mark a playful context. 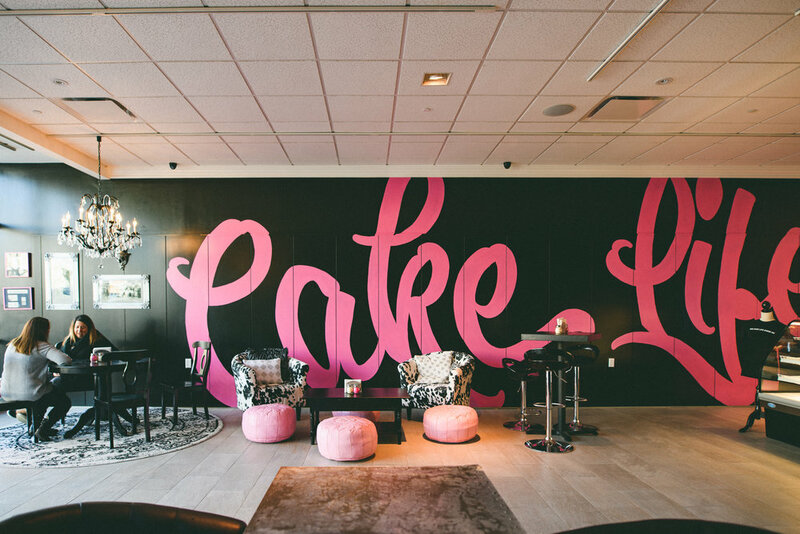 By further incorporating a strong pink and black color palette, tongue-in-cheek slang, and a fun pop-art vibe throughout her website, food truck, and collateral, we managed to build a brand as bold as Carrie herself.